Jazz has had a rich history since it began in the late 19th or early 20th century in New Orleans, but the market for jazz memorabilia is much smaller than for rock, or probably even for country music. It’s a niche genre, with limited appeal, and that means fewer collectors and fewer offerings. However, some of those collectors, now in middle age or older, have money, as witnessed by the fact that in a 2005 auction for jazz charities, a vibraphone belonging to Lionel Hampton sold for £25,000, whilst a letter written by John Coltrane, one of the iconic figures of 1950s and 1960s jazz, brought an astonishing £8,000. Auctions of jazz memorabilia are relatively rare, however. For the most part, jazz players have never attained the kind of wealth or celebrity of their colleagues in rock, which has meant they haven’t been able to dispose of items as readily. 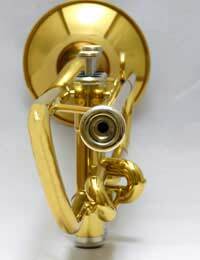 Instruments do come up at auction, as shown, as well as, very occasionally, clothes (at the same auction described above, you could have bid on a Louis Armstrong trumpet or a gown worn by singer Peggy Lee in the 1950s). But these are the real rarities of the genre. You’ll actually have better luck buying unreleased tapes, either of performances or studio work that never saw the light of day. With some digging, and good contacts, these aren’t too hard to locate. The price is going to vary depending on the artists- the more famous, the more you’ll pay. Perhaps the biggest trade is in backstage passes from festivals and tours and festival posters. Some of the rarer posters can command between £25 and £50 – hardly a fortune, but still a fair bit to pay for a poster. Tickets are a low-end item, as are specialist jazz magazines such as Down Beat. Of course, there are a few places that collect and show jazz memorabilia, like the L.A. Jazz Institute, and some private collectors have spent years amassing artefacts of their heroes – one man acquired so much by the late saxophonist Charlie Parker that he wrote a book about his collection. It’s a truism that you’re not going to find many gold discs for sale in jazz, because very, very few jazz albums have ever sold that many copies and the people involved in them would be unlikely to part with them. Jazz memorabilia isn’t a field for the investor. It’s too small and too specialised, and the demand isn’t great enough to drive prices higher and higher (although that 2005 auction would indicate that some people are willing to place stratospheric bids for items they really desire). Essentially this is an area for the collector, a way for the true aficionado to get closer to his idol, or for the jazz fan to display his love with posters. Some collectors do have large disposable incomes. It’s a field for the devoted, rather than the dilettante. Records can command good prices, such as compilation discs and promotional records, since collectors tend to be completists. As with anything else, however, a lot demands on the artists. A rare Miles David record is going to sell for far more than one by someone few ever heard; that’s just the nature of the world. Unless you know and love jazz, collecting jazz memorabilia probably isn’t for you. Jazz is a music that inspires a lot of passion among its fans, and if you don’t feel that, you can never really be a part of that world. The collectors do it out of love, rather than for gain (since in most cases they’ll never part with their collections).